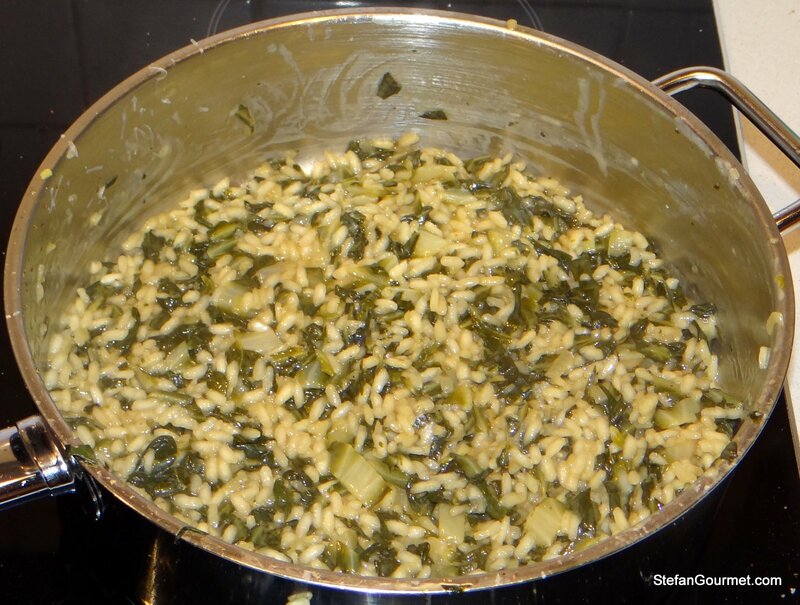 Risotto with Chard (snijbiet in Dutch) is a humble yet tasty risotto. 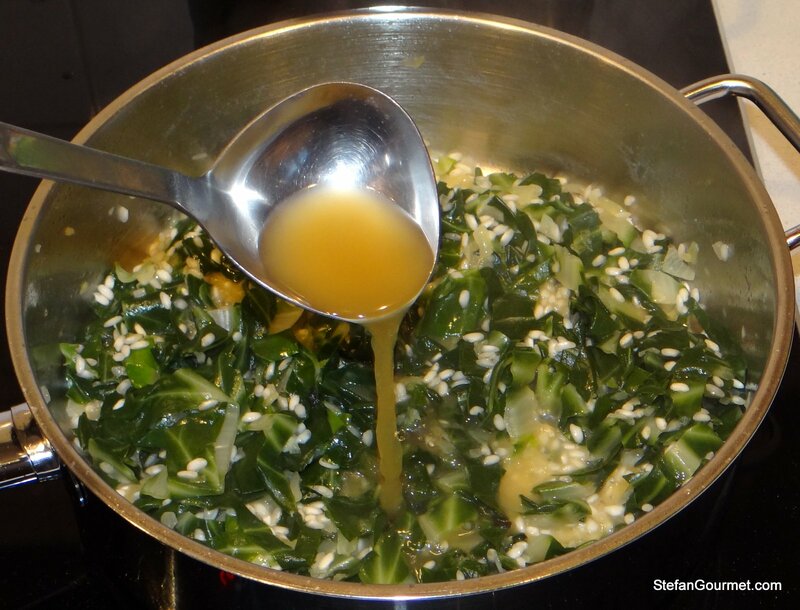 I parcooked the chard in the stock that I subsequently used for the risotto to capture all of the flavor of the chard. 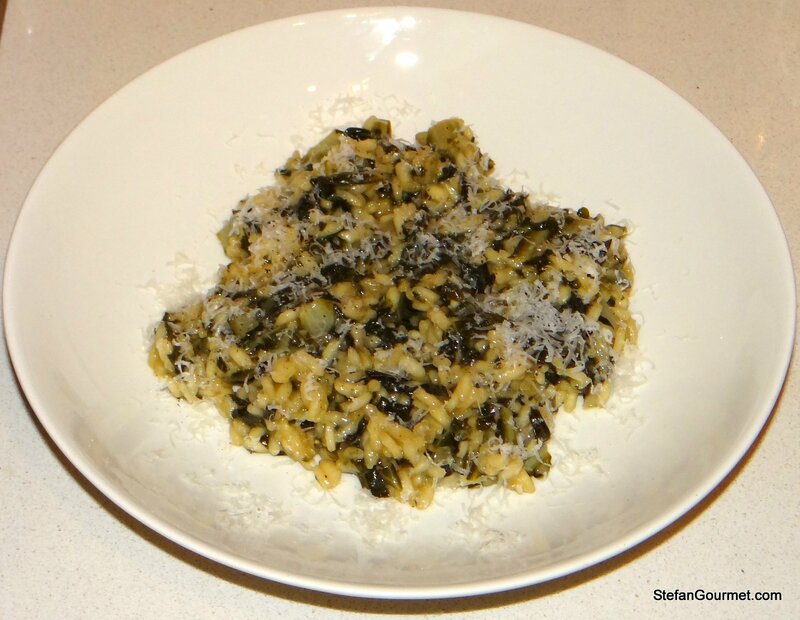 For this risotto I used only the leaves of the chard. 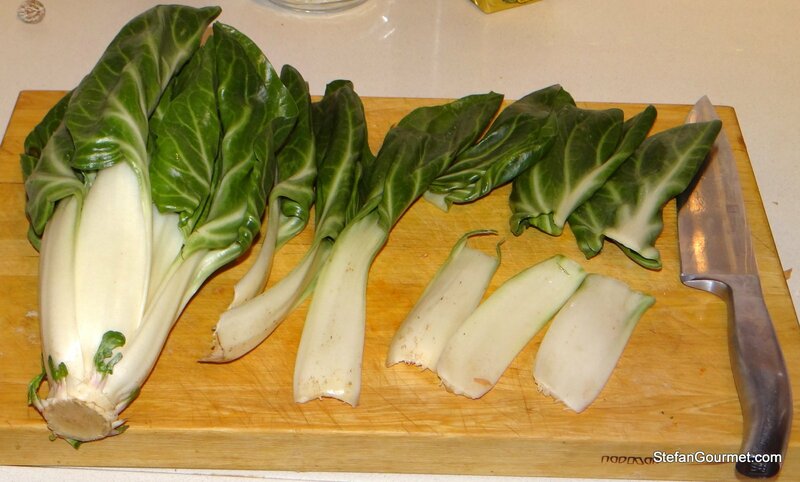 If you like, you could also use the stems if you parcook them longer. 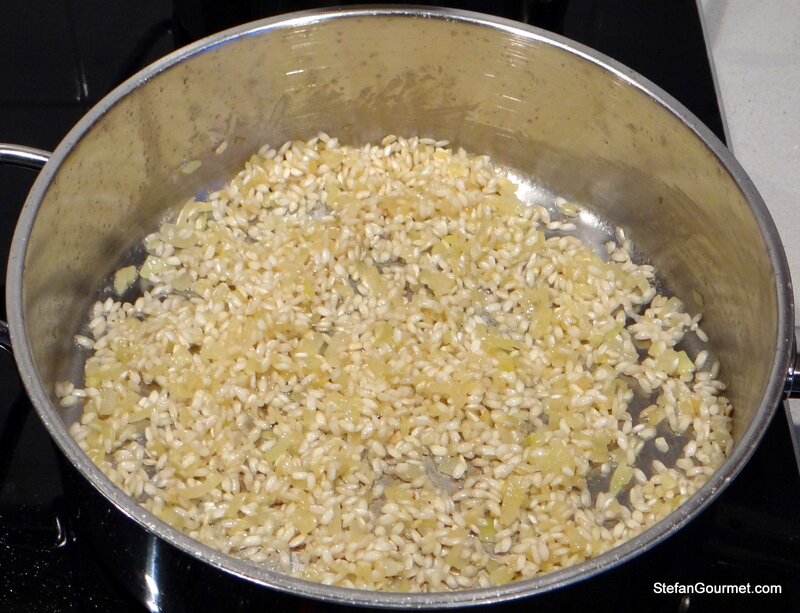 The two most important things for making a fine risotto are the stock and patience. 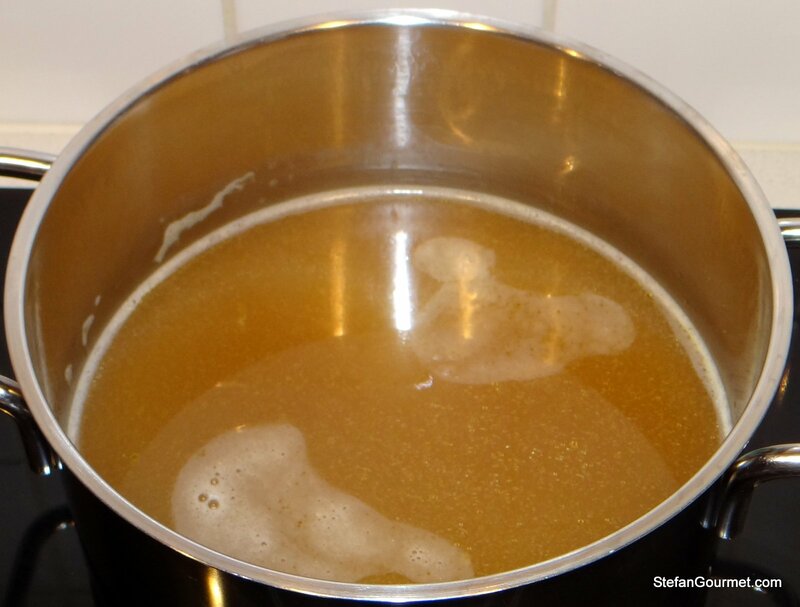 The stock must be homemade, not from cubes. Patience is needed to stir it for 20 minutes or so, but all that work is rewarded with a very creamy and tasty risotto. 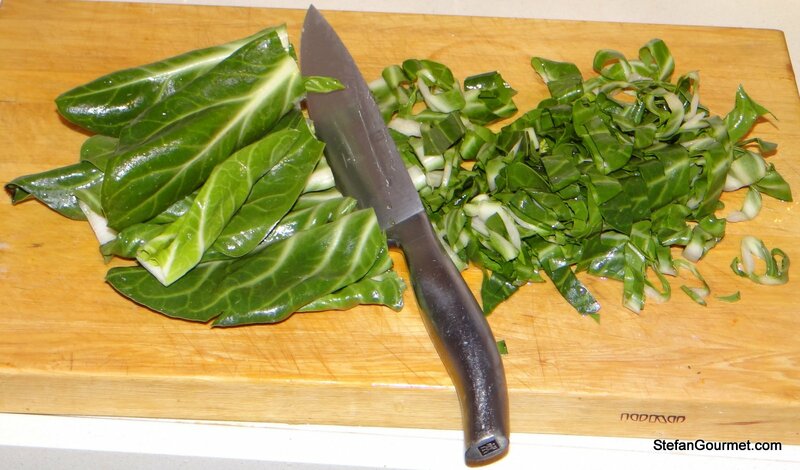 Clean the chard and separate the tough stems from the leaves. 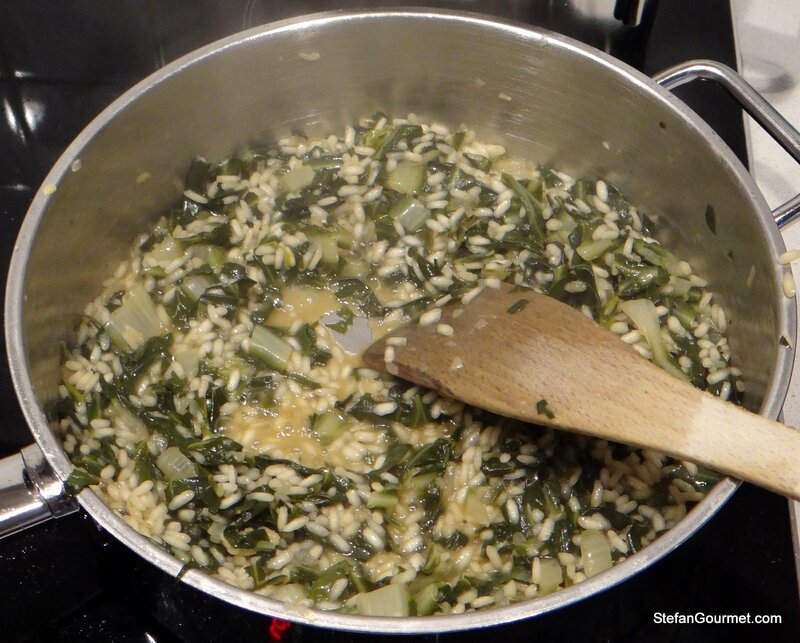 You can use the stems for another dish, or parcook them longer than the leaves and use them together with the leaves for this risotto. 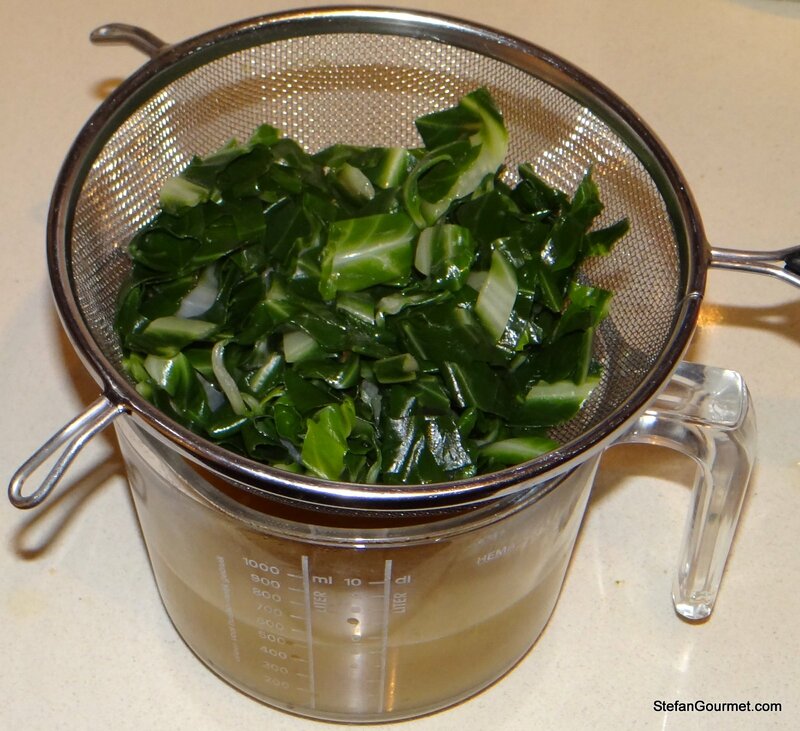 Drain the chard, catching the stock. Put the stock back into a pot and keep it warm (simmering). Melt 30 grams (2 Tbsp) of the butter over low heat. 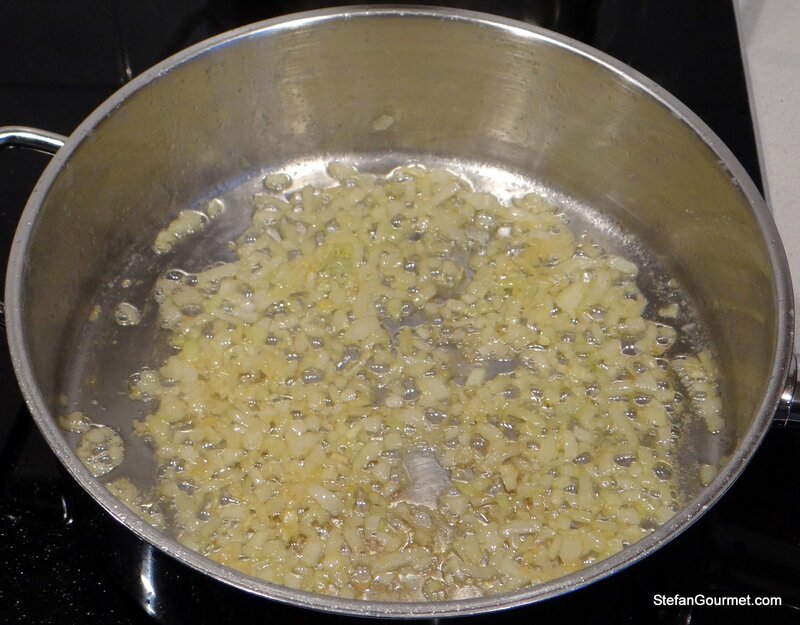 Add the onion and sauté until translucent. Add the rice and toast the rice until the edges become translucent. 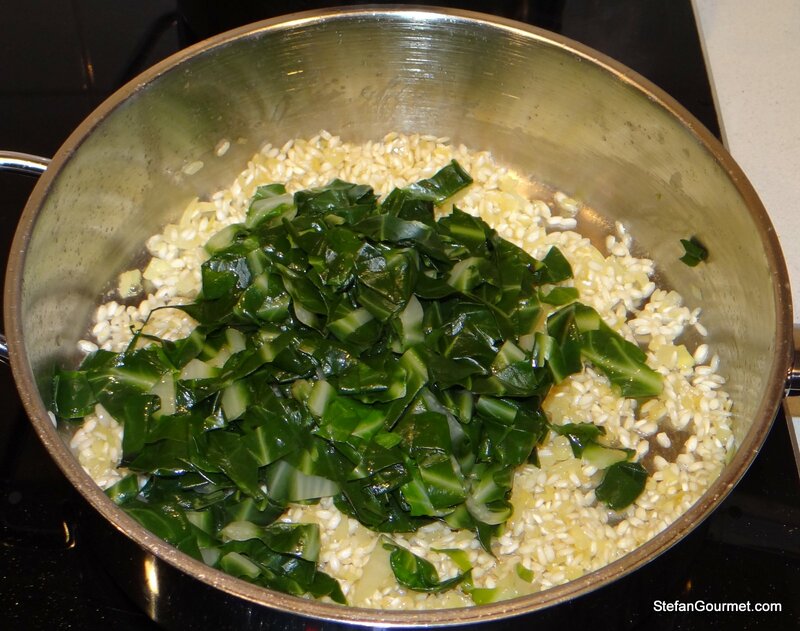 Add the chard as well and sauté for a minute. Add the white wine and allow to evaporate, stirring. 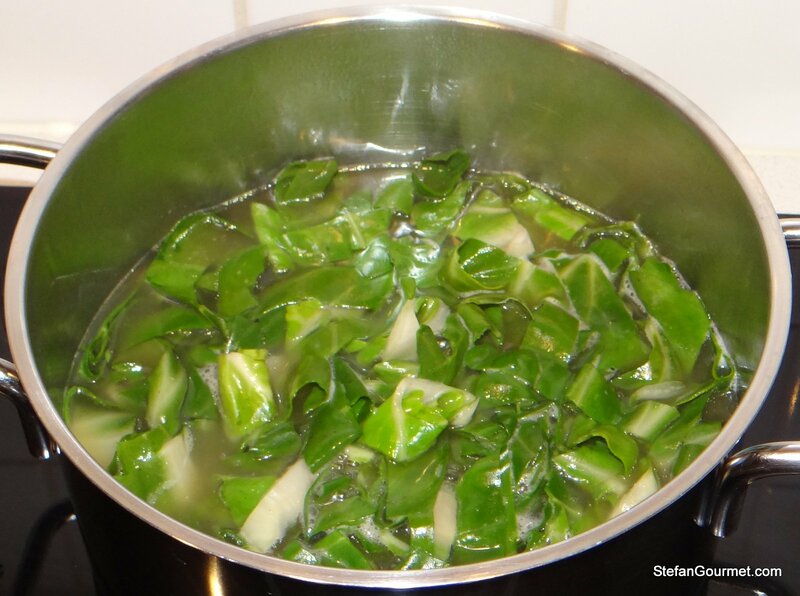 Add a ladle of the hot stock. 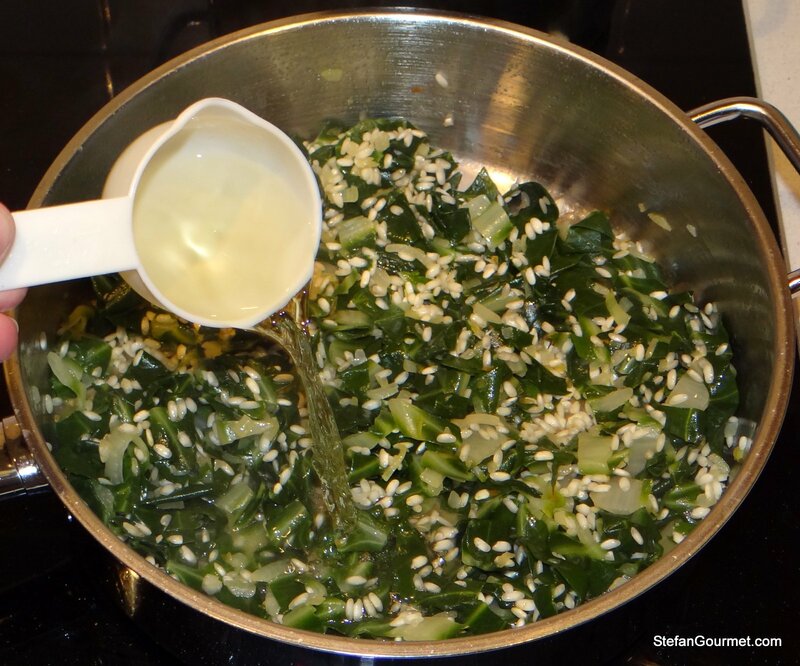 Stir until it has evaporated, and then add another ladle of stock and keep stirring. Go on like that for about 16-18 minutes or until the rice is cooked al dente. Add some freshly grated nutmeg to your liking. 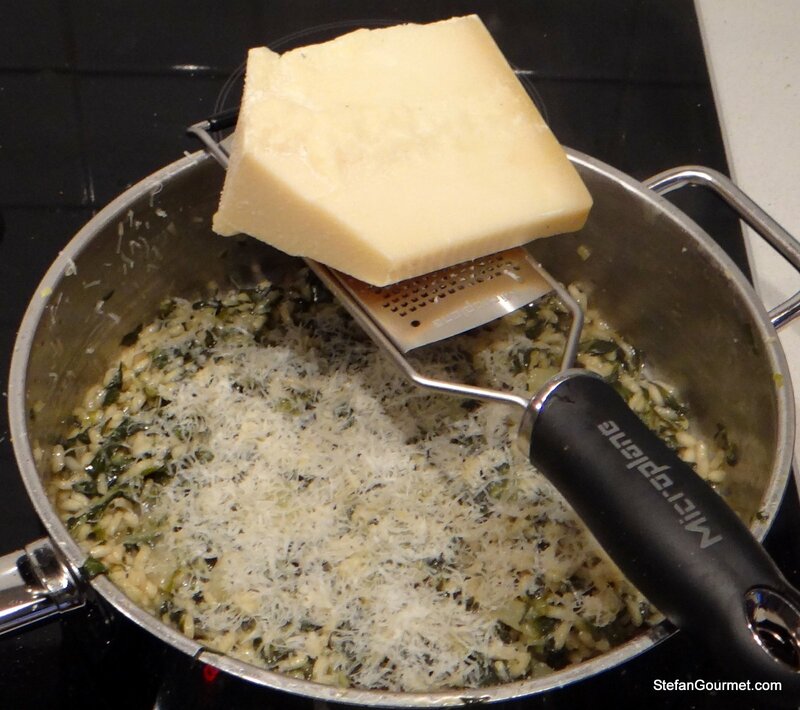 Add freshly grated parmigiano to your liking. 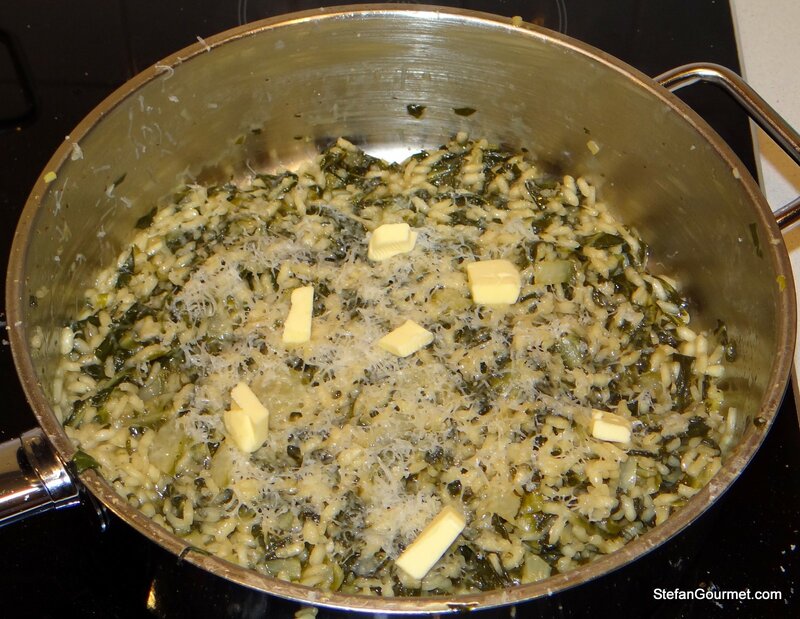 Add the remaining butter (10 grams/1 Tbsp) in small pieces. Stir to mix. Taste and adjust the seasoning with salt and freshly ground black pepper. 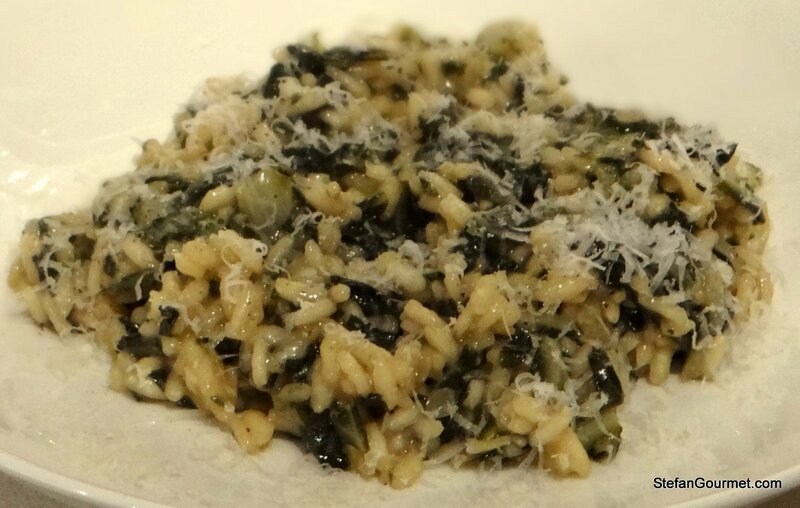 Allow the risotto to rest for a few minutes. 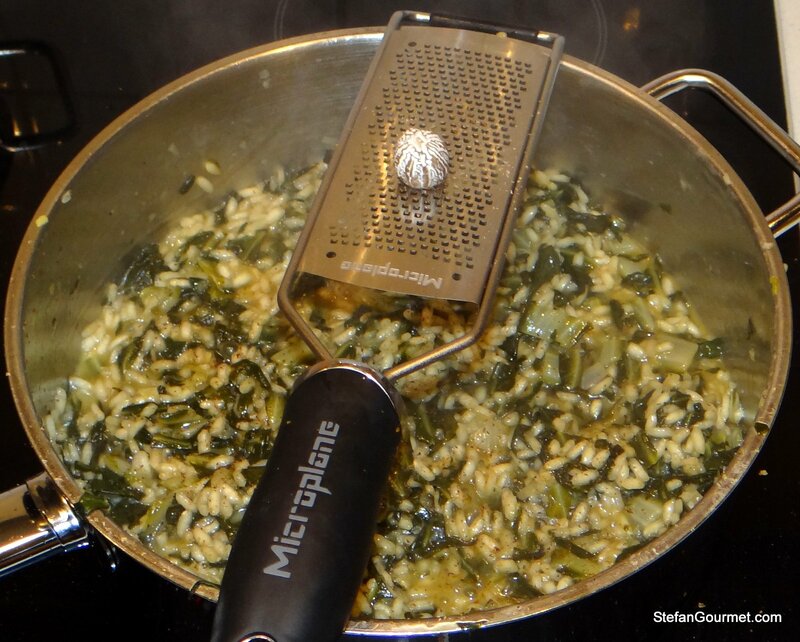 Serve on warm plates, sprinkled with some more grated parmigiano. can’t access on crard around here…. I really fell behind blogging and it’s hard to keep up with you. 😮 You cook so many wonderful things. Given we have a nice crop of homegrown chard every year this is a new use for the chard. Great recipe and post! Thanks, Richard. Glad to see you are back! 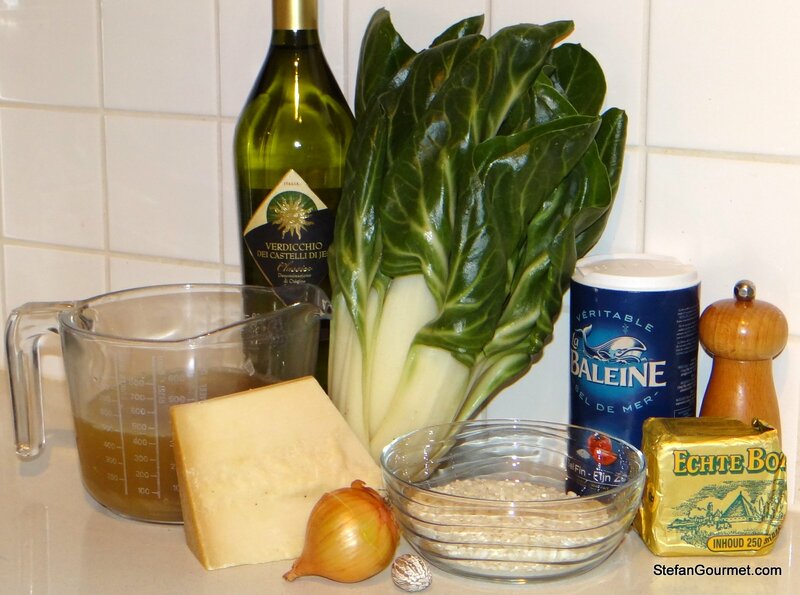 There is also a recipe coming up for pasta with chard ‘ragù’ that I think you may like.